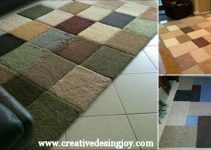 This is a quick and inexpensive project that can be used to compliment existing decors at home. 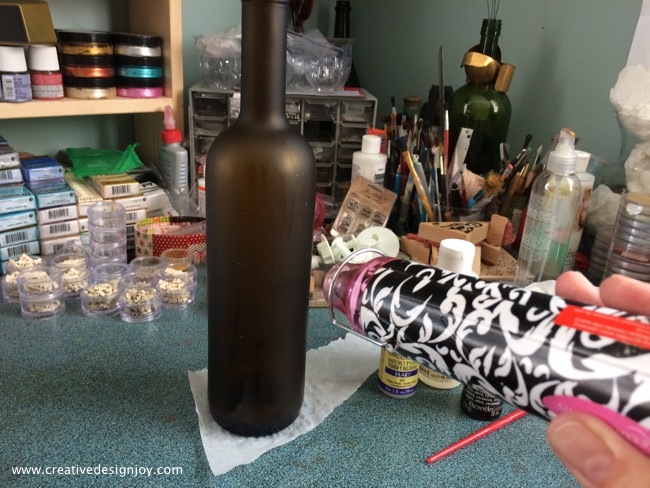 Since I love glass decors, I decided to use a wine bottle. I created an aged metallic look on it. 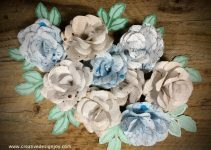 There are so many ways and ideas on upcycling and repurposing bottles. 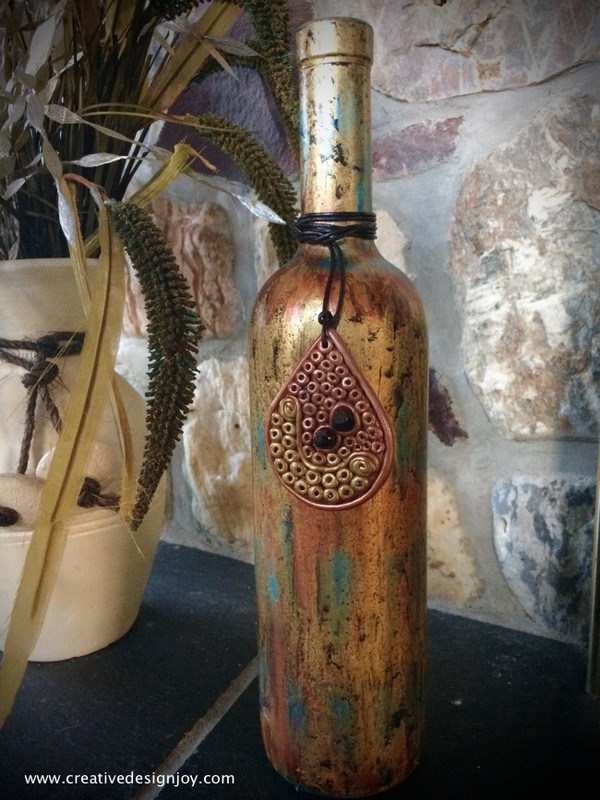 Repurposing bottles into house decors is definitely an easy DIY craft project. If you like an aged metallic look, follow the step by step tutorial that I created. This surface technique can be used in any glass DIY projects. Clean your bottle well before starting this project. 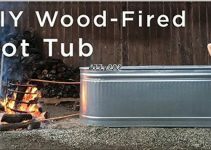 This project requires more time because of the drying process on every coat but you can speed up the process by blow drying with your heat gun or hair dryer. 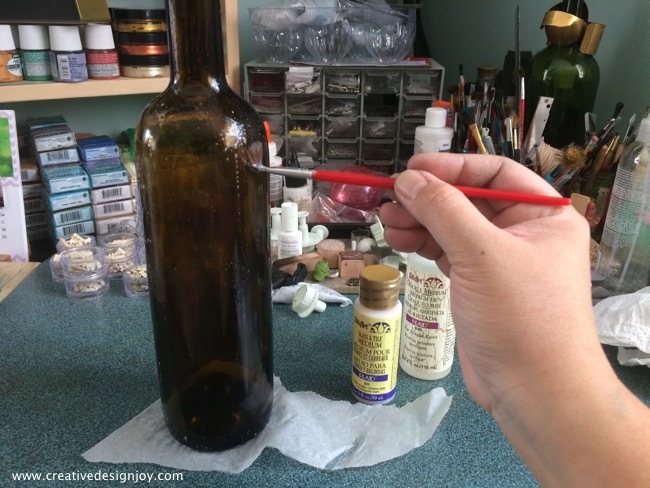 Step 1: First step, is to coat your bottle with glass and tile medium. I used folkart glass & tile medium. 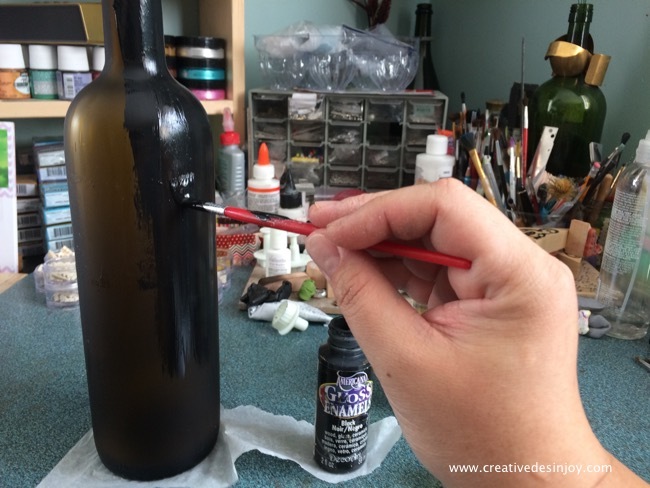 Use your brush to spread the medium evenly on the bottle. Step 2: Let your medium dry. You can speed up the process by blow drying, using your heat gun or blow dryer. 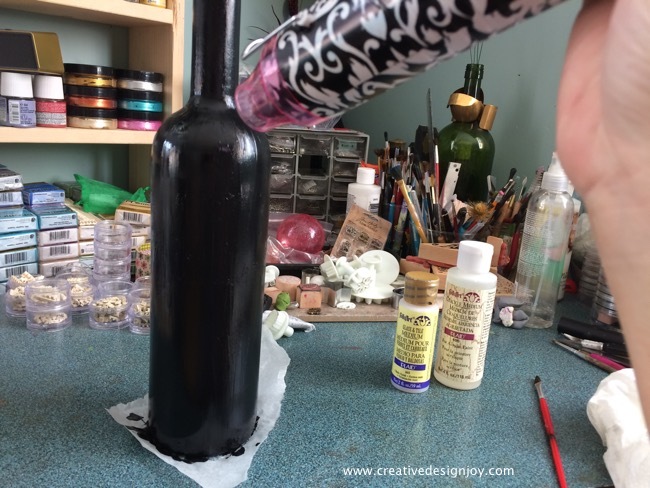 Step 3: Add an even coat of black acrylic paint on your bottle. 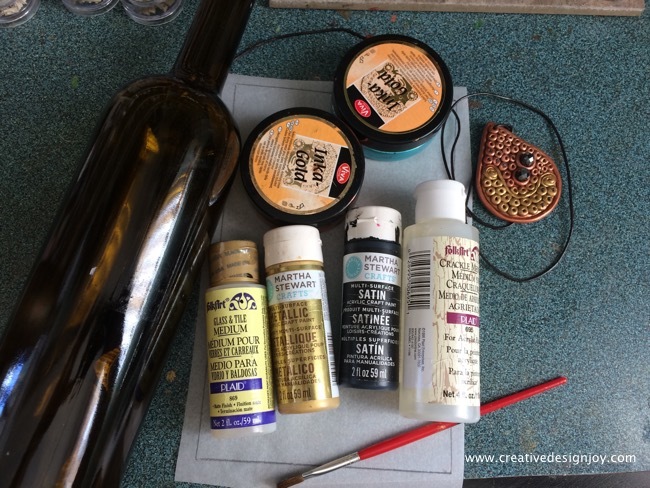 Step 4: Let the black acrylic paint dry before proceeding to next medium. Creative Design Copyright © 2019.